Identity system created for an upscale antiques dealer in Richmond, Virginia. 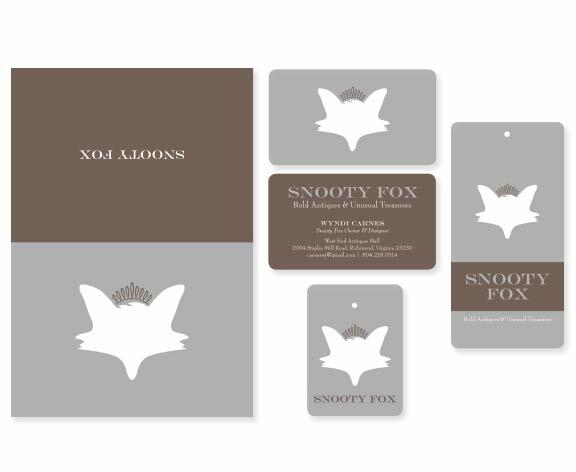 Our favorite element is the silver letterpressed crown the fox is wearing. Notecards, business card, and a variety of price tags.